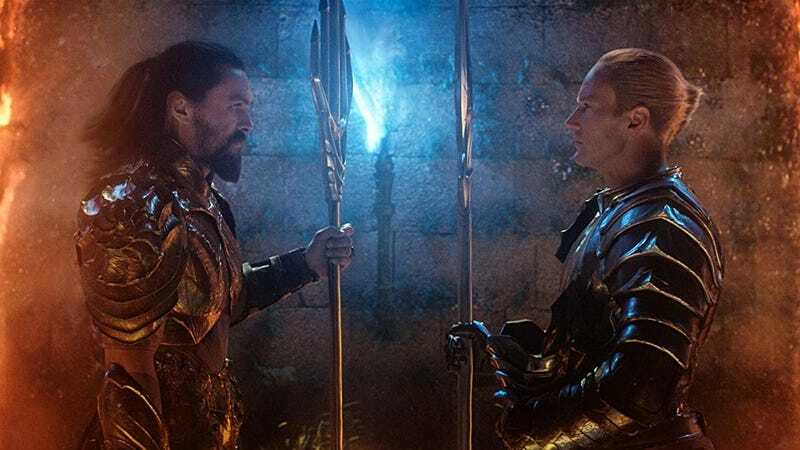 Arthur and Orm are getting another movie. Before James Wan commits to directing a sequel to his billion dollar hit Aquaman, he’s going to have to see a script. And that script now has a writer. The Wrap is reporting that David Leslie Johnson-McGoldrick, who co-wrote the first Aquaman, has been tapped to write Aquaman 2. He also wrote The Conjuring 2 for Wan, so he’s a trusted collaborator of the franchise master. Obviously, this early in the game no one outside of Warner Bros. knows the angle Johnson-McGoldrick is going to take with the film. The ending of Aquaman, specifically in regards to Black Manta and Orm, seems to offer some clues. What we do know is the studio got very serious about Aquaman after it became one of DC’s biggest hits ever and is also developing at least one spinoff, based on the trench creatures from the end of the film. It’s also important to remember while this is a positive step forward for the sequel, it’s one of the first steps. The studio will have to sign off on the script, as will Wan, before things can start ramping up toward production. But it sounds like we’re going to see the return of Arthur Curry sooner rather than later.